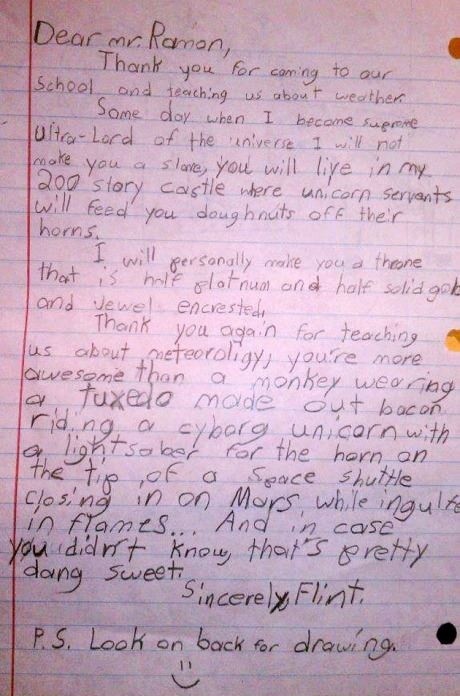 This is the most imaginative letter written by a kid I have ever read. I hope he becomes a writer some day. Don't miss his picture below. 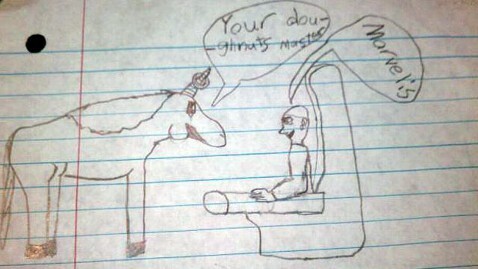 He might need an illustrator and spell check in the future. Dang, how old is that kid? I hate to see brilliance in a child that young. 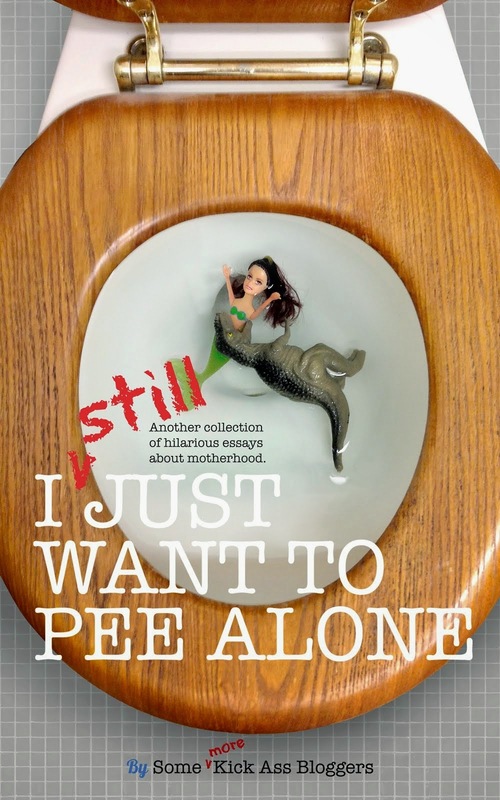 I'm suddenly feeling terrible pangs of inadequacy. Love the picture!